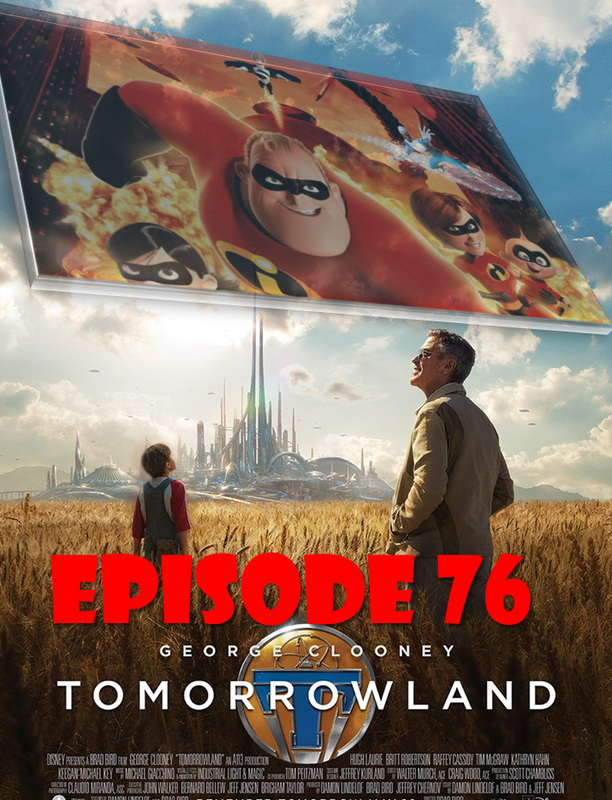 Episode 76 is all about Disney’s Tomorrowland as Doug and Dirty A welcome back friend of the show author Matt King. After discussing the film and touching on Director Brad Bird‘s other films, the discussion turns to the upcoming Fantastic Four reboot, Matt’s revisit of Michael Bay‘s first Transformers movie, and a…Hodgepodge of other topics. Take a listen! This entry was posted in Podcasts and tagged 2015, Brad Bird, Damon Lindelof, Disney, Episode, Fantastic Four, Film Reviews, Films, George Clooney, Hodgepodge, Incredibles, Movie Reviews, Movies, Podcast, Tomorrowland, Transformers. Bookmark the permalink.